Long-term staffing solutions are achieved with the right knowledge, expertise, tools, and experience. Let us put our expert staff, computerized candidate matching, and national recruiting engine to work for you. Our team will work hard for you to find you great candidates. We are so confident in our abilities to serve you, there is no cost to our clients until a candidate is hired and then we guarantee the placement. There are never any costs to our medical professionals seeking opportunities. Let us do what we are good at, so you can do the same. The perfect way to cover your needs while staff are away or during busy times. Our locums can work part-time or full-time, short-term and long-term. We handle most or all of the credentialing, payroll, and malpractice etc. 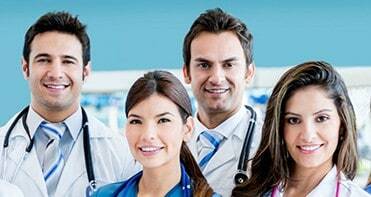 Locums to permanent placement is our fastest growing service model. Staff can get started quicker and you can get to know each other before making a commitment. If you are curious about this kind of arrangement; our team can help you get started and further explain how locum tenens can help address your facility’s needs for timely and quality care. We can help facilities to get started with telemedicine services, and have the medical professionals to provide the telemedicine care. Adding telemedicine specialty services to your facility can help improve patient care and increase revenues by reducing the need to refer patients out. Because we are one of the top national resources for telemedicine, we already have many clients looking for telemedicine healthcare providers. Telemedicine is a great way to serve diverse communities, work from home, sharpen your skills, and pick up extra days and hours to augment your income.